TAKE AN AMAZING TOUR OF THIS HOME USING THE BUTTON OR LINK PROVIDED! 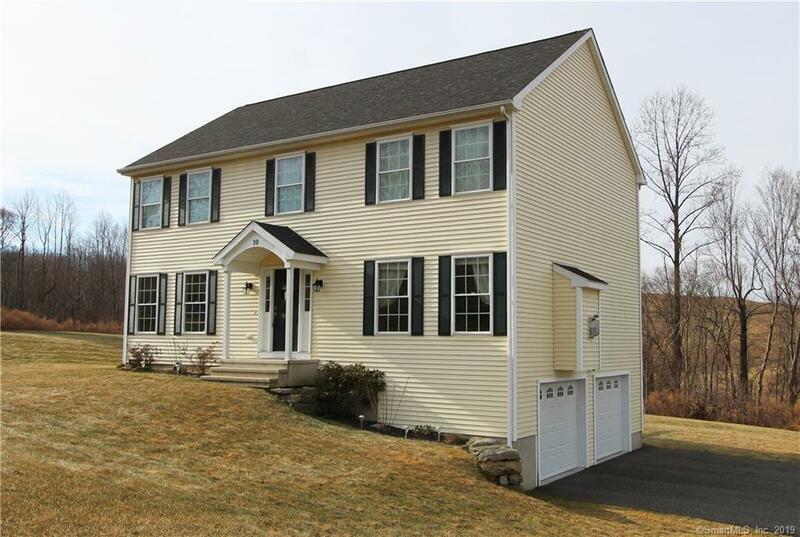 Extremely well-kept 2012 Colonial rests in a quiet cul-de-sac neighborhood of high-quality homes. Featuring 4 large bedrooms, 2.5 baths plus main level office/den & generous storage, youâll find lots of practicality designed into its 2,267 square feet! Open, bright floor plan w/ gleaming hardwood & great flow make this tastefully appointed home perfect for easy daily living and splendid entertaining. Spacious kitchen boasts stainless appliances including gas stove w/ double oven, center island w/ breakfast bar, granite countertops, and tasteful glass tile backsplash. Eat-in dining area leads to deck w/ amazing views, while formal dining room is plenty big to host holiday meals with loved ones. Charming gas fireplace in the living room makes for cozy winter nights, and barn doors leading to the office/den lend a homey, rustic touch to the entire space. Upstairs, Master offers tray ceiling, spacious walk-in closet, spa-like master bath w/ stone accents in shower. Additional 3 bedrooms are good size with nice closet space. See included floor plan in photo set for all room sizes! Walk-out basement can be finished living space, and attic with pull-down leads to even more storage. Thereâs efficient propane heat & cooking, and public water supply. Level yard is perfect for pets and safe play! Convenient Route 8/84/63/69/42 commute. Acclaimed Region 16 Schools and FABULOUS NEIGHBORHOOD make this one a WINNER!